Apricot Delight' is part of the Tutti Frutti series which are known for their sturdy, compact growth habit, long bloom period, and interesting flowers. 'Apricot Delight' produces a chameleon-like range of pinks from pale apricot to near red. Full sun intensifies the hues. Wonderful in fresh or dried arrangements. Attracts butterflies. Drought tolerant once established. 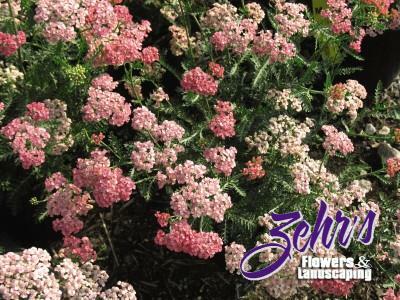 Introduced by the Blooms of Bressingham® program.